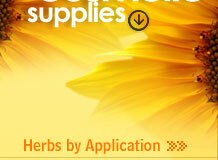 Wholesale suppliers and exporters of Madder Roots. A very variable prickly or scabrous climbing perennial herb with long cylindric, flexuose, smooth reddish , roots and 4-angled rough stems and branches, leaves very variable 2-8 in a whorl often only 4. Cordate-ovate-lanceolate, 5-7, ribbed, scabrous above, base rounded or slightly cordate, petioles very long, provided with sharp recurved prickles on the edges, stiplues absent, flowers white, greenish yellowish or reddish, sweet-scented, small in terminal panicled glabrous cymes, fruits globose or slightly 2-lobed fleshy, smooth, purplish black when ripe, seeds two ,small. Coloring metter in the roots is a mixture of purpurin and munjistin. Roots also contain small amounts of xnthopurpurin and pseudopurpin, Muistin, alizarin and its glucoside in plant. Turmeric is natures internal cosmetic. It is an excellent natural antibiotic which strengthens digestion and helps improve intestinal flora. Turmeric purifies the blood, stimulates the formation of new blood tissue, promotes proper metabolism by correcting both excesses and deficiencies. Turmeric helps counteract, pimples, acne, boils, skin diseases, pale skin, anemia. It is an inexpensive and indigeneous beauty aid. Considerable quantities of turmeric are converted as 'kumkum' used for tilak by Indians. Smearing with turmeric paste cleans skin and beautifies it. Its antiseptic and healing properties prevent and cure pimples. Turmeric is the major ingredient in curries and curry powders, contributing flavour as well as the characteristic yellow colour. It is also used in chutneys and pickles. In South East Asia, the fresh spice is much preferred to the dried. Turmeric has been used to add color in foods and cosmetics. 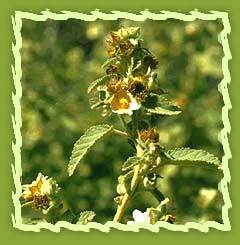 It has a refreshing peppery taste and scent and goes well in salad dressings, adding a beautiful, yellow color. Turmeric Extract has been used traditionally improve skin complexion, promote proper metabolism, increase energy, eliminate diseases caused from weakness of blood. The roots are sweet, bitter, astringent, thermogenic, anti-inflammatory, antiseptic, digestive, carminative, constipating, antidysenteric, anthelmintic, depurative, vulnerary, emmenagogue, diuretic, galacto-purifier, alterant, phthlamic, febrifuge, rejuvenating and tonic. They are useful in vitiated conditions of kapha and pitta, rhematoid arthritis, neualgia, cephalagia, dyspepsia, flatulence, colic, diarrhoea, dysentary, helminthiasis, leprosy, skin diseases, leucoderma, pruritus, wounds , ulcers amenorrhoea, dysmenorrhoea, strangury, ophthallmoopahty, intermittent levers, pharyngitis, cough, diabetes, discolouration of the skin, slow healing of broken bones, tubercular conditions of the skin and mucous tissue, otopathy, urethrorrhea, haemorrhoids, jaundice, hepaatopahty, spolenopathy, arthralgia, leucorrhoea, pectoral diseases and general debility.